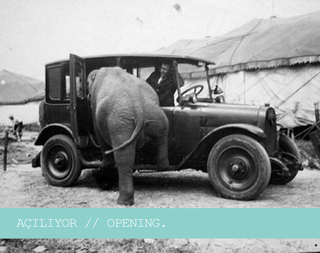 FiL is a space dedicated to photo books, artist talks and workshops in Karaköy, Istanbul. It is also a collaborative space or a hub for arts that focuses mainly on photography. Our shop FiLBooks offers a selection of spirited works ranging from self-published books, children’s books, monographs, signed and limited edition books, artist publications, zines, journals, books on history of photography and critical theory together with unique range of toy cameras and stationary. FiLBooks is interested to explore photographic images and philosophies of the image that is invested in photographic and printed production. We are very interested in inviting national and international artists, photographers and publishers to give talks about their work or to lead workshops. FiLBooks is very open to organize book launches, screenings, pop-up events, little fairs and projects, therefore we would be happy to be asked about hosting events. We also have a coffee shop where you can enjoy our delicious cakes and sandwiches. We are working on organizing social gatherings aiming to debate around photography, art, design, education and publishing.